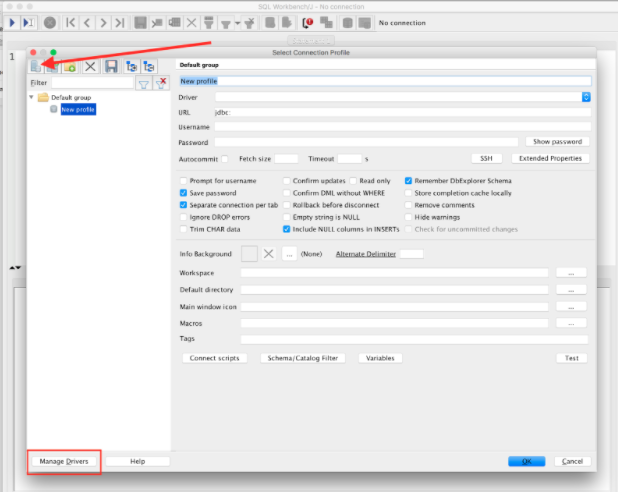 You can connect to Amazon Redshift using a JDBC or ODBC connection, any tool or program which connects via these methods, or programmatically (AWS provides examples for Java and .NET). AWS supports SSL connections for security. A popular, terminal/command-line based interaction method uses psql - a postgres frontend which can be used to connect to Redshift. If you’d rather use a graphical frontend (such as SQL Server Management Studio or MySQL Workbench) then you may feel more at home using SQL Workbench/J. We’ll go over connecting with both. If you prefer to connect through Python (psycopg2) or your language of choice, refer to the examples posted by AWS. If you see the above, you're successfully connected to your local database! Above, you can see I've logged into the db 'aloksubbarao' under the username 'aloksubbarao'. For windows, download and run the installer. and then run psql again. The <dbname> above is an optional parameter. Don't include the <> when actually passing the name. Next, navigate to your Cluster Info page and set your master password (if you haven’t already) and note the cluster details information. And of course you can run any SQL queries you’d like - don’t forget to throw a `;` at the end of the query or statement to have it execute when within psql! The power of Redshift is now at your fingertips, have fun! Navigate over to SQL Workbench/J’s download page and download the version according to your operating system. Ensure that your workstation has the latest Java software. 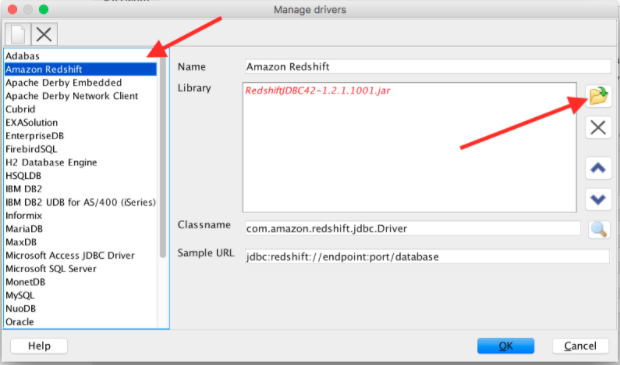 Next, download the official Redshift JDBC Driver to a convenient location. Navigate to where you downloaded SQL Workbench and double click and run the program. Depending on your workstation’s security settings, you may encounter a prompt like the one shown below when trying to launch SQL Workbench for the first time. If you see this prompt, you may need to navigate to the “Security and Privacy” settings on your workstation and click “Open Anyway”. If this does not resolve the issue, you may need to see assistance from your workstation administrator. 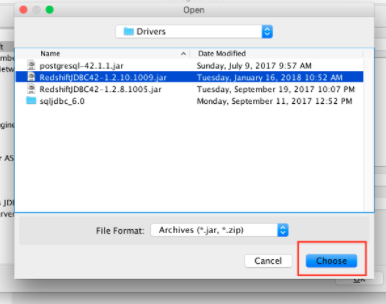 Under Manage Drivers, click the folder icon and select the official Redshift driver from AWS. 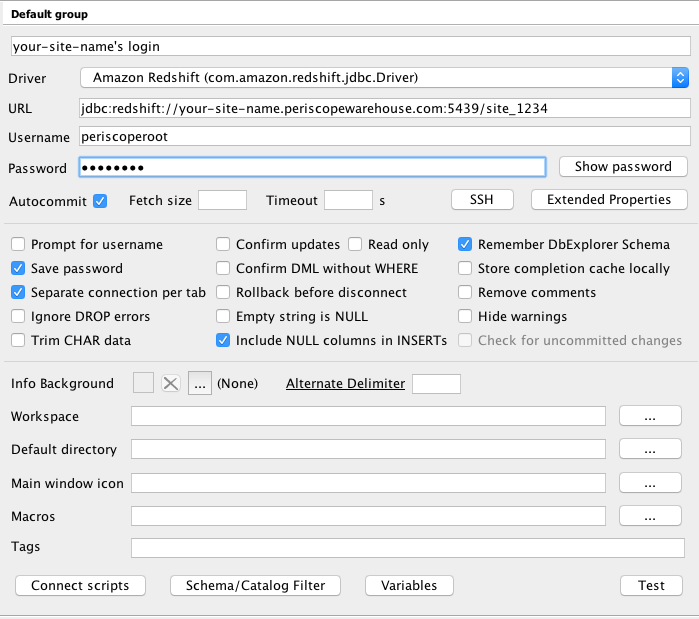 Select Amazon Redshift JDBC driver after having completed the prior steps. Ensure that 'Autocommit' beneath the password is selected! Don't forget this step, unless you want to manually COMMIT transactions within the UI. Click "OK" and now you're in the cluster! I recommend going into Tools -> Database Explorer and taking a look around your Redshift. If you have any issues logging into your Periscope Warehouse, send us a chat using the chat box in the bottom right of your screen, or email us at support@periscopedata.com .